In 2015, The US Preventive Services Task Force (USPSTF) recommended screening for prediabetes and undiagnosed diabetes (collectively called dysglycemia) among adults aged 40–70 years with overweight or obesity. The recommendation suggests that clinicians consider screening earlier in people who have other diabetes risk factors. To compare the performance of limited and expanded screening criteria recommended by the USPSTF for detecting dysglycemia among US adults. Cross-sectional analysis of survey and laboratory data collected from nationally representative samples of the civilian, noninstitutionalized US adult population. A total of 3643 adults without diagnosed diabetes who underwent measurement of hemoglobin A1c (A1c), fasting plasma glucose (FPG), and 2-h plasma glucose (2-h PG). Screening eligibility according to the limited criteria was based on age 40 to 70 years old and overweight/obesity. Screening eligibility according to the expanded criteria was determined by meeting the limited criteria or having ≥ 1 of the following risk factors: family history of diabetes, history of gestational diabetes or polycystic ovarian syndrome, and non-white race/ethnicity. Dysglycemia was defined by A1c ≥ 5.7%, FPG ≥ 100 mg/dL, and/or 2-h PG ≥ 140 mg/dL. Among the US adult population without diagnosed diabetes, 49.7% had dysglycemia. Screening based on the limited criteria demonstrated a sensitivity of 47.3% (95% CI, 44.7–50.0%) and specificity of 71.4% (95% CI, 67.3–75.2%). The expanded criteria yielded higher sensitivity [76.8% (95% CI, 73.5–79.8%)] and lower specificity [33.8% (95% CI, 30.1–37.7%)]. Point estimates for the sensitivity of the limited criteria were lower in all minority groups and significantly different for Asians compared to non-Hispanic whites [29.9% (95% CI, 23.4–37.2%) vs. 49.8% (95% CI, 45.9–53.7%); P < .001]. Diabetes screening that follows the limited USPSTF criteria will identify approximately half of US adults with dysglycemia. Screening other high-risk subgroups defined in the USPSTF recommendation would improve detection of dysglycemia and may reduce associated racial/ethnic disparities. Diabetes and prediabetes (collectively called dysglycemia) affect approximately half of American adults, with higher prevalence estimates and greater complication rates among racial/ethnic minorities than whites.1, 2 In December 2015, the US Preventive Services Task Force (USPSTF) published a recommendation to screen for dysglycemia among asymptomatic adults who are 40–70 years old and overweight or obese.3 The recommendation suggests that clinicians consider screening earlier in people who have one or more of the following diabetes risk factors: family history of diabetes, history of gestational diabetes or polycystic ovarian syndrome among women, and non-white race/ethnicity.3 Under the Affordable Care Act, health insurance plans must cover services recommended by the USPSTF without cost sharing.4 However, it is unclear whether insurance coverage for dysglycemia screening will be based on age and weight alone, or the larger set of risk factors also included in the recommendation. The data source was the 2011–2014 NHANES. Using a complex, multistage probability sample design, NHANES presents nationally representative descriptive statistics of the health status of the non-institutionalized US civilian population. The protocols for collecting interview and biologic specimen data in NHANES, including response rates, are described in-depth elsewhere.12 The study participants were adults aged ≥ 20 years who underwent fasting blood collection and a 2-h oral glucose tolerance test. We excluded those reporting a previous diagnosis of diabetes (n = 578) and pregnant women (n = 1). Participants missing data for physician-diagnosed diabetes, body mass index (BMI), or glycemic measures were also excluded (n = 22). The final analytic sample included 3643 participants. We used summary statistics to describe the characteristics of adults with dysglycemia overall (n = 1990) and by their eligibility for screening according to the limited and expanded criteria. In the full sample of eligible adults without diagnosed diabetes (N = 3643), we examined the following performance characteristics of the limited and expanded screening criteria: sensitivity (proportion of adults with dysglycemia who meet the criteria), specificity (proportion of those without dysglycemia who do not), positive predictive value (PPV, proportion of adults meeting the criteria who have dysglycemia), and negative predictive value (NPV, proportion of those not meeting the criteria who are free of dysglycemia). For both sets of criteria, test performance was determined separately by weight status (normal weight, overweight, and obese). Test performance of the limited criteria was stratified by race/ethnicity, and the significance of differences between groups was examined using Chi-square tests. A P value of < .05 was considered significant for all statistical testing. We conducted the following sensitivity analyses. The same analyses described above were repeated among those who completed only FPG and HbA1c measurement, without OGTT (n = 1834). As recommended by some experts, an overweight/obese definition of BMI ≥ 23 kg/m2 for Asians was also used to determine screening eligibility and the limited criteria’s performance in this group.17 We used SAS version 9.3 (Cary, NC) and SAS-callable SUDAAN version 11 (Research Triangle Park, NC) to conduct statistical analysis, accounting for NHANES’ complex survey design. The National Center for Health Statistics Research Ethics Review Board approved NHANES. All participants gave informed consent. Overall, 49.7% of the sample population without diagnosed diabetes had dysglycemia, with the following estimated prevalence within each racial/ethnic group: non-Hispanic white (48.6%), black (54.0%), Hispanic/Latino (50.9%), and Asian (51.2%). Extrapolating the overall prevalence estimate to the Census resident population of adults without diagnosed diabetes yields a total of 105.1 million Americans with dysglycemia. Table 1 presents the characteristics of all adults with dysglycemia, and Tables 2 and 3 display their characteristics according to screening eligibility and ineligibility, respectively. The two sets of screening criteria identified adults with similar cardiometabolic profiles, including mean glycemic values that were comparable between the eligible groups (Table 2). Relative to eligible adults, those who were ineligible by both sets of criteria had lower mean values for all cardiometabolic markers except HDL cholesterol (Table 3). By definition, the limited screening criteria identified only individuals with dysglycemia whose age and BMI were within their respective target ranges. Similarly, the expanded criteria captured all adults with dysglycemia who were racial/ethnic minorities or had other clinical risk factors comprising these criteria. In addition, greater proportions of the following subgroups with dysglycemia were eligible for screening based on the expanded criteria vs. the limited criteria: women, educational attainment less than high school, household income below the federal poverty level, and uninsured. Table 4 presents the performance of the USPSTF’s limited and expanded screening criteria among all US adults without diagnosed diabetes. The performance characteristics of the limited criteria were as follows: sensitivity 47.3% (95% CI, 44.7–50.0%); specificity 71.4% (95% CI, 67.3–75.2%); PPV 62.0% (95% CI, 57.8–66.1%); and NPV 57.8% (95% CI, 54.9–60.8%). The estimated sensitivity of the limited criteria was lower within each racial/ethnic subgroup compared to non-Hispanic whites, and this difference was statistically significant among Asians. Using an overweight/obesity BMI cutoff of ≥ 23 kg/m2 in Asians,17 the performance of the limited criteria was comparable with other racial/ethnic minority groups, and the difference in sensitivity relative to whites was no longer statistically significant. The specificity and PPV of the limited criteria were significantly higher among all racial/ethnic minority groups (Table 4). Overall, the expanded screening criteria demonstrated the following performance characteristics: sensitivity 76.8% (95% CI, 73.5–79.8%); specificity 33.8% (95% CI, 30.1–37.7%); PPV 53.4% (95% CI, 50.2–56.6%); and NPV 59.6% (95% CI, 55.6–63.4%). The expanded criteria exhibited greater sensitivity and lower specificity with increasing BMI (Table 5). For both the limited and expanded criteria, Table 6 presents the estimated number of adults (per 1000 population) by their eligibility for screening and dysglycemia status. In sensitivity analyses defining dysglycemia based on FPG and A1c alone, we found no substantive differences in the screening criteria’s performance compared to the primary findings. aDysglycemia was defined by 2-h postload glucose ≥ 140 mg/dL, fasting plasma glucose ≥ 100 mg/dL, or A1c ≥ 5.7%. Normoglycemia was defined by all glycemic values below these cut-offs. This is the first study investigating the performance of the full 2015 USPSTF dysglycemia screening recommendation in a nationally representative sample of US adults without diagnosed diabetes. Our findings highlight clinically significant differences in sensitivity and specificity between the USPSTF’s main screening recommendation (i.e., limited criteria) and the additional risk factors included in the same report (i.e., expanded criteria). Dysglycemia screening based on the expanded criteria demonstrated higher sensitivity and lower specificity than age and weight alone. In practice, this means that fewer dysglycemia cases will be missed by the expanded criteria; however, more adults without dysglycemia will be tested, only to find that the result is normal. Point estimates for the sensitivity of the limited criteria were lower in all minority groups. This difference was statistically significant for Asians using the standard BMI definition of overweight/obesity, but did not remain significant when using a lower BMI threshold. The specificity of the limited criteria was significantly higher in all racial/ethnic minority groups relative to whites and was highest among Asians. When making its recommendations, the USPSTF assigns a letter grade to each preventive service based on the certainty of evidence supporting it and the balance of associated benefits and harms.18 The limited criteria in the current screening recommendation received a grade B, indicating moderate to high certainty that the net benefit is moderate to substantial.19 Because the Affordable Care Act mandates that insurers cover the full cost of services that receive a grade B recommendation,20 there is current debate about whether payers should also fully reimburse dysglycemia screening for patients who meet the expanded criteria alone.21 In this context, our analysis provides the first performance estimates for these two sets of screening criteria endorsed by USPSTF, thereby enabling appraisal of the trade-offs associated with their use. Prior research has found that screening for dysglycemia based on a single diabetes risk factor yields lower sensitivity and higher specificity than using a greater number of risk factors.22, 23 The USPSTF’s prior 2008 recommendation to screen adults with hypertension alone demonstrated sensitivity of 44.4% and specificity of 74.8%.24 By contrast, the American Diabetes Association (ADA) recommends screening all adults who are overweight/obese with other diabetes risk factors including those currently listed in the USPSTF’s expanded criteria, in addition to physical inactivity, hypertension, dyslipidemia, or cardiovascular disease.6 This ADA screening recommendation demonstrated similar performance to the USPSTF’s expanded criteria.25 Collectively, these data demonstrate that using broad screening criteria maximizes detection of dysglycemia (i.e., sensitivity), whereas following narrow criteria maximizes efficiency by testing fewer eligible adults without dysglycemia (i.e., specificity). To our knowledge, only one previous study has investigated the performance of the 2015 USPSTF screening recommendation. 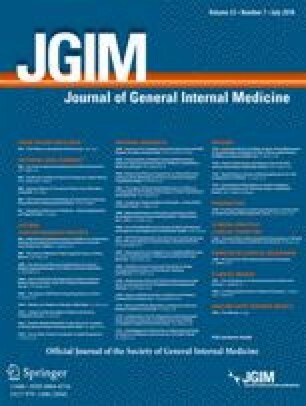 This analysis of the limited criteria used clinical data from community health centers, reporting a sensitivity of 45.0% and a specificity of 71.9%.26 Despite studying a clinical cohort of adult primary care patients in the Midwest and Southwest, this paper’s estimates of sensitivity and specificity were remarkably similar to those found here in a nationally representative population. No studies have yet tested the performance of the expanded criteria endorsed by USPSTF in the same report. Our current analysis found that the expanded criteria perform more favorably than limited criteria in certain population subgroups, which may accelerate evidence-based interventions to prevent or treat diabetes. There was a trend toward lower sensitivity of the limited screening criteria in all minority groups compared to whites, most prominently among Asians, who have an elevated risk of dysglycemia at normal body weight.27 Lower sensitivity of the limited criteria among racial/ethnic minorities was also reported in our previous analysis of community health center patients, which found higher rates of dysglycemia at younger ages and lower weights among these groups.26 Because the USPSTF’s expanded criteria include non-white race/ethnicity, all minorities would routinely receive screening under this approach and disparities in diagnosing dysglycemia among these groups may be reduced. There were other key differences in the characteristics of adults who were eligible for screening according to the USPSTF’s limited vs. expanded criteria, which may present opportunities to improve dysglycemia detection in other vulnerable groups. Individuals with low socioeconomic status are less likely to be screened following the limited criteria, as evidenced by smaller proportions of adults with low educational attainment and household incomes who were identified. This finding is concerning given that socioeconomic disadvantage is associated with elevated diabetes risk.16 Because the limited criteria do not include gestational diabetes and polycystic ovarian syndrome, women with dysglycemia are also less likely to be identified. This is significant given the higher lifetime risk of diabetes among women than men.14 Adults who have dysglycemia at a normal weight constitute 23.9% of cases, who would not be screened following the limited criteria. One quarter of adults with dysglycemia are younger than 40 years old and are also not captured by the limited criteria. Failing to screen young adults could increase the already long period of exposure for developing complications associated with prediabetes and diabetes. Adults over 70 represent a high-risk group that would also not be screened according to the limited criteria. However, their shorter life expectancy and greater risk associated with diabetes treatment may change the balance of potential benefits and harms associated with screening this group.28 Adopting the expanded criteria would result in screening a substantially higher proportion of these groups that are missed by the limited criteria. Another important clinical consideration is the potential benefit that patients may derive from screen-detected dysglycemia. Large randomized trials have shown that treatment for diabetes reduces microvascular and macrovascular complications31, 32, while economic studies have demonstrated the cost-effectiveness of diabetes treatment.33 The benefit of intensive lifestyle interventions and some medications to prevent diabetes is also clearly established,7–9 with studies suggesting that these interventions are most efficacious and cost-effective among the highest-risk prediabetic adults.34, 35 Follow-up studies demonstrate that lifestyle programs produce durable reductions in diabetes incidence36, 37 and may reduce microvascular complications,38, 39 cardiovascular mortality, and all-cause mortality.40 However, applying evidence from landmark diabetes prevention trials to inform screening practices is complicated by the broader definition of prediabetes used by USPSTF compared to these earlier studies. Further, participants in these trials were overweight or obese, leaving the benefit of interventions to prevent diabetes less certain in adults who have a normal body weight. Future research should study diabetes prevention efforts in lean adults. Our study is timely given its examination of the USPSTF’s most recent dysglycemia screening recommendation. Strengths of using nationally representative data from NHANES include reliable estimates of health indicators for Asians beginning in 2011. Analyzing data since 2011 resulted in a smaller sample and less precise estimates than pooling larger numbers of participants from previous years. The NHANES definition of Asian race does not include Pacific Islanders, in whom diabetes risk is associated with obesity.41 Had this group been included, the sensitivity of the limited criteria among Asian Americans would likely be higher and the specificity lower than those reported here. Due to the cross-sectional design of NHANES, we could not confirm the diagnosis of dysglycemia based on repeat testing. This may have overestimated the prevalence of undiagnosed dysglycemia due to some cases that would not have been confirmed by a second abnormal result. One recent study estimated that undiagnosed diabetes that is confirmed by a second glycemic test result constituted 11% of total cases, compared to one-quarter or one-third of cases based on a single abnormal result.42 To the extent that dysglycemia cases in the current study were identified by fasting glucose or A1c, this problem may not have had a large impact on our findings because of lower intraindividual variation associated with these tests (coefficient of variation 5.7 and < 1%, respectively) than 2-h postload glucose (coefficient of variation 16.7%).43 While all three glycemic tests were performed in NHANES and analyzed here, this is not often the case in routine clinical practice.26, 30 Finally, we did not compare the current USPSTF screening criteria to those recommended by the ADA or other expert groups, which may be a direction for future research. In conclusion, targeted diabetes screening that follows only the age- and weight-based criteria recommended by USPSTF will identify approximately half of US adults with dysglycemia. Following the recommendation’s expanded criteria that include other diabetes risk factors would improve detection of dysglycemia and provide earlier opportunities to intervene both across the population and in several high-risk groups, including racial/ethnic minorities. Future research might examine use of the USPSTF screening criteria in practice and study their impact on dysglycemia diagnosis, treatment, and costs in diverse population subgroups. The National Health and Nutrition Examination Survey (NHANES) is conducted by the National Center for Health Statistics, US Centers for Disease Control and Prevention (CDC). The NIDDK and CDC Division of Diabetes Translation funded the diabetes component of the NHANES and have input into the design and conduct of the study, and the collection and management of the data with regard to diabetes-related data. Other than the study authors, the NIDDK and the CDC had no role in the design, analysis, and interpretation of the secondary analysis; preparation, review, and approval of the manuscript, and the decision to submit the manuscript for publication. The CDC reviewed and approved the manuscript before submission. The findings and conclusions in this report are those of the authors and do not necessarily represent the official position of the CDC or the NIDDK. K.M.B. had full access to all of the data in the study and takes responsibility for the integrity of the data and the accuracy of the data analysis. M.J.O., K.M.B., Y.Z., E.W.G., and R.T.A designed the study. All authors contributed to the acquisition, analysis, or interpretation of the data. M.J.O. drafted the manuscript. All authors critically revised the manuscript for important intellectual content. Y.Z. and K.M.B. conducted the statistical analysis. K.M.B. provided administrative, technical, or material support and E.W.G. supervised the study. The study was supported by grants R21-DK112066, R01-HL093009, UL1-TR001422. There were no commercial sponsors of the study. The National Center for Health Statistics Research Ethics Review Board approved NHANES. All participants gave informed consent. Centers for Disease Control and Prevention. National Health and Nutrition Examination Survey. Atlanta, GA: CDC/National Center for Health Statistics, 2016; Available from: http://www.cdc.gov/nchs/nhanes.htm [accessed February 27, 2018]. U.S. Preventive Services Task Force. Guide to Clinical Preventive Services, 2014: Appendix A: How the U.S. Preventive Services Task Force Grades Its Recommendations. Agency for Healthcare Research and Quality, 2014; Available from: https://www.ahrq.gov/professionals/clinicians-providers/guidelines-recommendations/guide/appendix-a.html [accessed February 27, 2018]. U.S. Preventive Services Task Force. Grade Definitions, 2016; Available from: https://www.uspreventiveservicestaskforce.org/Page/Name/grade-definitions [accessed February 27, 2018]. Diabetes Advocacy Alliance. Coalition Letter: Request to release FAQ regarding coverage of preventive services under the Affordable Care Act (ACA). American Association of Clinical Endocrinologists, 2016; Available from: https://www.aace.com/files/views/072616-tridpts-re-diabetes-screening.pdf [accessed February 27, 2018]. Community Preventive Services Task Force. Diabetes Prevention and Control: Combined Diet & Physical Activity Programs– Economic Evidence Tables. Atlanta, GA 2016; Available from: https://www.thecommunityguide.org/sites/default/files/assets/SETcombineddietandpa-econ.pdf [accessed February 27, 2018].